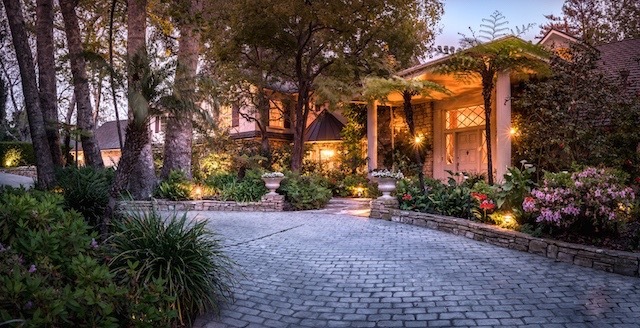 Privately gated surrounded by luscious trees and a beautiful garden this property is located at the end of a quiet cul-de-sac in the Santa Monica Canyon. This charming 6 bed 5 bath house is about 6,900 sq ft with a spacious master, formal dining room, billiard room, library, and exercise room complete with a ballet bar. Among the landscaping is plenty of patio space and a large pool with ample sunlight throughout the day. Walk further into the grounds to see the tranquil canal from the top of the bridge that leads to even more gardens in the most secluded setting.